The Centers for Disease Control and Prevention (CDC) sent more than 50 disease detectives and other highly trained experts to West Africa to battle Ebola. While here in the U.S., more than 350 CDC staff are working on logistics, communications, analytics, management and other functions to support the response 24/7 at CDC’s Emergency Operations Center.“We are fulfilling our promise to the people of West Africa, Americans, and the world, that CDC would quickly ramp up its efforts to help bring the worst Ebola outbreak in history under control,” said CDC Director Tom Frieden, MD, MPH. “We know how to stop Ebola. It won’t be easy or fast, but working together with our U.S. and international partners and country leadership, together we are doing it.” Read more here. Meanwhile, researchers at the National Institutes of Health (NIH) and the National Institute of Allergy and Infectious Diseases (NIAID) are studying Ebola and seeking better ways to diagnose and treat the disease. 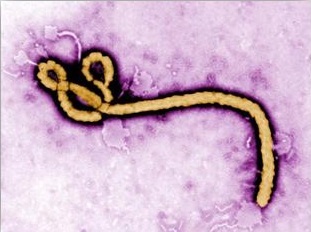 In 2013, the NIAID reported spending $42.49 million on Ebola research. Public-private partnerships are critical to containing and preventing such deadly outbreaks. The NIAID is collaborating with Okairos, a biotech company, to develop Ebola vaccines. The NIH is working with the drugmaker Mapp Biopharmaceutical to scale up production of its Ebola drug Zmapp and partnering with BioCryst to advance the company’s experimental treatments. Sustained and robust federal funding is needed to respond to global health threats, and to support the development of vaccines to combat Ebola and other deadly diseases. Policymakers must assign a higher priority to medical research to ensure the health and wellness of Americans. Click here to urge your representatives to support increased funding for federal health agencies in FY15. 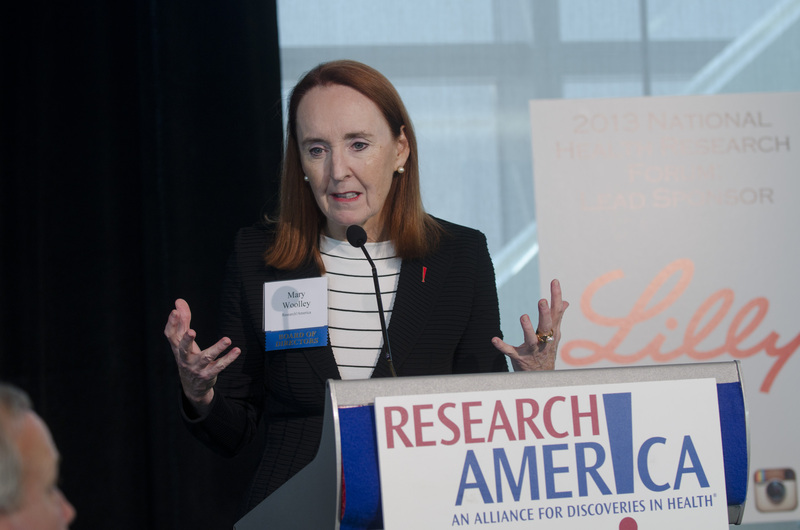 Research!America’s National Health Research Forum — held September 12 at the Newseum’s Knight Conference Center in Washington, DC — examined the current and future state of research to improve health. 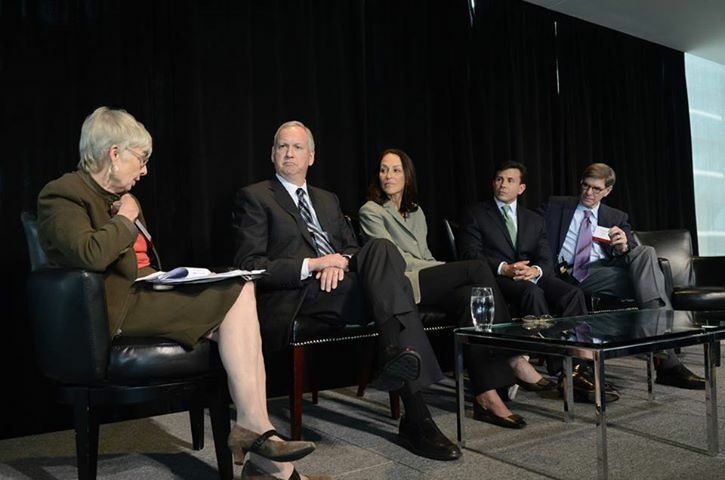 This year’s theme was “Straight Talk about the Future of Medical and Health Research.” Three expert panels delved into different aspects of the research ecosystem. Research!America’s president and CEO, Mary Woolley, and chair, The Honorable John Edward Porter, opened the program. Porter introduced Bart Peterson, JD, senior vice president of corporate affairs and communications at Lilly who delivered a brief keynote speech. A Vital Signs report from the Centers for Disease Control and Prevention earlier this month shows a staggering 400% increase in the number of women who died from a prescription painkiller overdose from 1999 to 2010. The rate of men’s deaths in that same category, meanwhile, rose 265% — a depressing number in its own right. But the 400% increase in women means that in 2010, according to the CDC’s calculations, 6,600 women lost their lives because of a prescription painkiller overdose; that’s 18 women every day. That’s four times the number of deaths attributed to cocaine and heroin combined. And once every 3 minutes, an ER somewhere in America sees a woman for problems resulting from opioid misuse or abuse.